This recipe is a bit like lasagna, requiring several steps yet rewarding you with enough food to feed a crowd. Alternatively, you may divide the tetrazzini between two separate dishes; enjoy one now and freeze one for later. I have remade this dish into a lighter version of the traditional tetrazzini with its deliciously creamy sauce. Olive oil is used in place of butter and 2% milk in lieu of cream. The addition of mushrooms and kale adds color, flavor, and nutrients and makes this a perfect one-dish meal. That said, I personally think a side of peas compliments this recipe quite nicely! Once you have completed the first step and added the cooked poultry, you essentially have creamed chicken or turkey, which can be a dish unto itself or used in a pot pie or casserole. You may also serve it over pasta, on crusty toast, or in puff pastry shells. Adding greens makes this meal feel more complete while packing a nutritional punch. Spinach may be substituted for the suggested kale. You could even use the greens from a fresh bunch of beets or turnips. Although a whole bunch of kale may seem like too much, the greens wilt down to a fraction of their original size. My younger son doesn’t care for the mushrooms, but I never omit them. They are my favorite add-in, so I’m always happy to eat his share! And now to the Blog Hop… For delicious Thanksgiving meal planning, I have joined with a group of talented bloggers to cover all the holiday bases. From sweet potatoes to pumpkin pie and everything in between, we have lots of crowd-pleasing options. After my recipe, which covers the leftovers, you will see photos of and links to all the other recipes. Enjoy! Once you have completed the first step and added the cooked poultry, you have creamed chicken or turkey, which can be a dish unto itself or used in a pot pie or casserole. In the former option, it may be served over pasta, on crusty toast, or in puff pastry shells. I have created a version that is lighter than most recipes by using olive oil in place of butter and 2% milk in lieu of cream. In a separate skillet over medium-high heat, cook the mushrooms in the remaining tablespoon olive oil until tender and golden, about 5 minutes. Add the chopped kale, in batches if necessary, and toss until just barely wilted. Season with salt and pepper. Meanwhile, cook the spaghetti according to the package directions and drain, reserving 1/2 cup of the cooking liquid. Stir the cooked spaghetti, the reserved cooking liquid, and the mushroom/kale mixture into the turkey mixture and toss until just combined. Transfer the mixture to a 9×13 baking dish and sprinkle with the almonds and Parmesan cheese. Bake for 20-25 minutes or until the mixture is bubbly and the cheese is golden brown. You may prepare to the point prior to baking, and then cover and refrigerate. In this case, you will need to add approximately 10 more minutes to the baking time. This recipe may also be baked in two 9-inch pie plates or two 8-inch square pans. Freeze one for later use, enjoy leftovers later in the week, or surprise a friend with a ready-made meal! The sherry and nutmeg add great flavor but, if you don’t have them on hand and would not use them in other recipes, there is no need to make a special purchase. 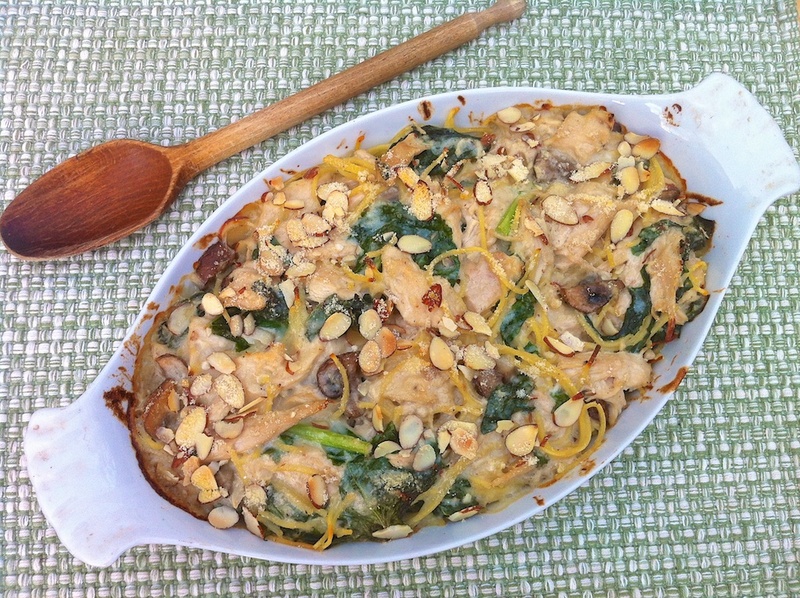 While I always bake the tetrazzini after stirring in the veggies, it occurred to me as I looked at this creamy mixture that tossing and serving like this would be rather tasty, too! 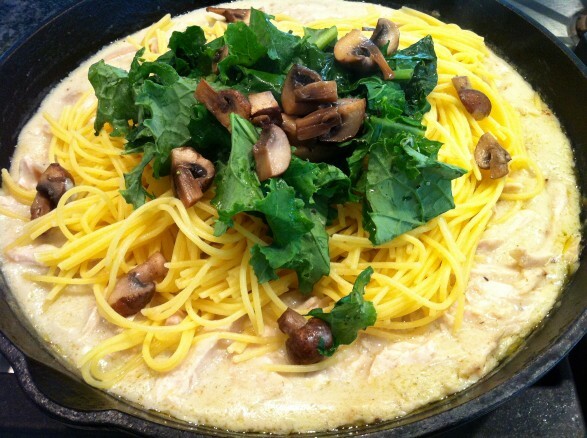 Love the addition of the kale in your tetrazzini. It’s a great way to get more veggies in. Thanks for sharing on Thursdays Treasures. The kale and mushrooms are my favorite part: ) This is one of those dishes that pleases my whole family for lots of different reasons. Thank you for the comment, Christie! think i want to make this tonight, need to cook some chicken and I love having leftovers we can eat for lunches as well. My Kroger had NO kale Friday when i was there, neither organic or regular! hope they have some today. Still no kale at Kroger so I bought Swiss Chard instead. I found a recipe for roasted Swiss chard I need to share with you Ann. It’s from All Recipes and we love it! So tasty..
Feel free to share anytime! I love chard and would happily try your recipe! Oh, YUM! I’m always looking for new ideas to use leftover turkey (one can only have leftover turkey sandwiches so many days in a row 🙂 and this looks like a great recipe to try! 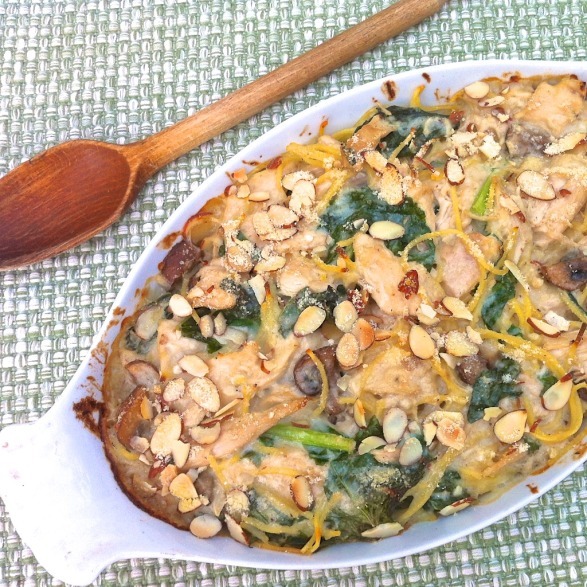 Tetrazzini is one of my favorite ways to use up leftover turkey, and adding kale to this comfort food classic is brilliant, Ann! 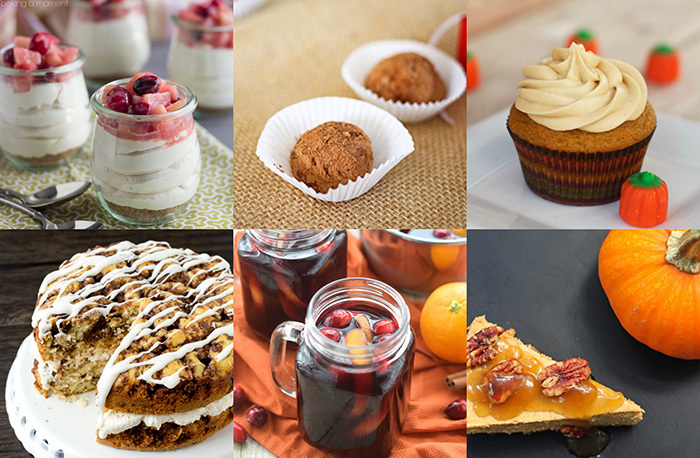 Thanks so much for sharing your talents in our Thanksgiving Menu Blog Hop! It is a pleasure to be a part of this delicious feast…thank you! I do, too, Allie! Thanks for the comment! This looks like a great use of all that leftover turkey! Delicious! Looking forward to making and serving it this evening at a get together! It looks so good!! !